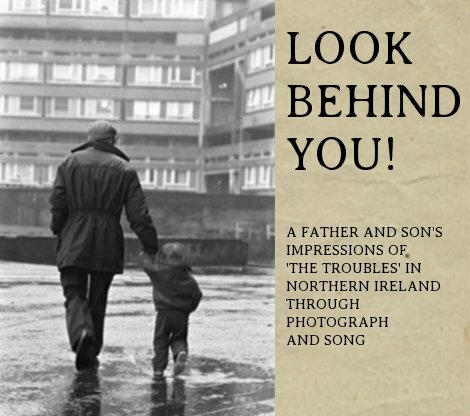 An eclectic online journal, “committed to literary innovation”, going by the name of “Hotel”, has featured five of my photo-poems, which were in large part, a response to the photographs taken by my father, during ‘the Troubles’. It really is very much its own thing. 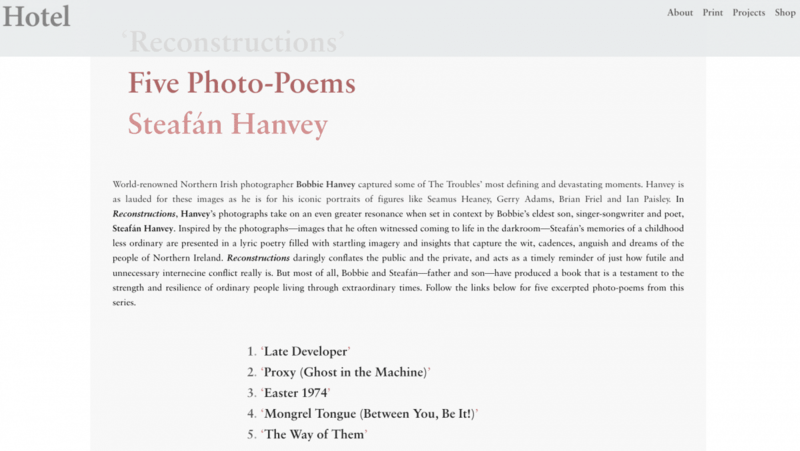 So, without further adieu, a feature of five of my poems and their accompanying photographs, read by yours truly. Enjoy!